Photo by: NYS Department of Environmental Conservation. Long Island, NY - June 8, 2015 - A dozen state Department of Environmental Conservation (DEC) forestry experts from regions across New York and a group of educators from the Northeastern Forest Fire Protection Commission (NFFPC) arrived in Long Island this week to combat the destructive southern pine beetle and protect trees in central and eastern Long Island, DEC Commissioner Joe Martens announced today. "The southern pine beetle has destroyed thousands of trees on Long Island and remains a major threat to the Pine Barrens and other forested areas in the region," DEC Commissioner Joe Martens said. "DEC forestry experts are working closely with state, local and federal experts to manage and mitigate the impacts of this threat, and protect the critical natural resources that are so important to the ecology of Long Island." The DEC forestry team will initially deploy to DEC's Rocky Point Pine Barrens State Forest to inventory tree species on the forest lands and produce a hazard risk map of timber stands at the greatest risk of infestation. The foresters will then perform surveillance work on other state-owned forest properties in the region and develop southern pine beetle management plans for specific areas. In addition, an NFFPC education team, featuring members from Maine, Massachusetts, Virginia and Nova Scotia, Canada, will work with local agencies on communication strategies and educational materials to raise public awareness about the southern pine beetle and how people can help limit its impact. The education team plans to meet with federal and state landowners to assess information needs. The southern pine beetle (SPB) is considered one of the most destructive forest pests in the U.S., and is a threat to all pine species, including pitch pine, the predominant species found in the Long Island Pine Barrens. Town, county, state and federal agencies are working together to protect Long Island's 55,000 acres of core pine barrens and the 100,000 acres of surrounding compatible growth of pine barrens which help protect the region's sole source drinking water aquifer. In October 2014, DEC confirmed the first known presence of the southern pine beetle in New York. Subsequent aerial and ground surveys detailed the infested areas. Previously, the southern beetle had been found only as far north as New Jersey, where it destroyed 50,000 acres of pine barrens. The most effective method to minimize the spread of SPB includes cutting infested trees and thinning surrounding forested areas. 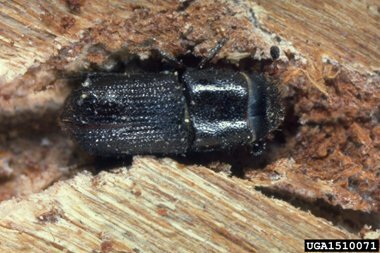 If left untreated, the southern pine beetle can move swiftly to nearby forested areas. Insecticides have been shown to be mostly ineffective against SPB, and also poses certain risks to the environment and Long Island's sole source drinking water aquifer. Based on research conducted by New Jersey and other states, which found that in the northeast the beetle would most likely overwinter in the pupal stage, DEC determined the winter season was ideal time to combat the infestation. In early February, DEC personnel started cutting infested trees in the DEC-managed Henry's Hollow Pine Barrens State Forest and adjoining parkland at Suffolk County Department of Parks, Recreation and Conservation's Munn's Ponds County Park. Overall, DEC cut and removed 2,451 trees on 20 acres. DEC, in cooperation with the U.S. Forest Service, U.S. Fish and Wildlife Service, New York State Office of Parks, Recreation and Historic Preservation, the Central Pine Barrens Commission and Long Island municipalities, began taking steps in January to further define the extent of the southern pine beetle infestation, with several agencies also beginning tree-cutting operations in an attempt to reduced additional damage. Earlier this year, at DEC's request, the Northeastern Forest Fire Protection Compact sent teams of foresters to Long Island to help with survey and map work. The out-of-state assistance in the SPB management and control effort is the result of cooperative logistical and financial arrangements New York State has as a member of the Northeast Forest Fire Compact. In recent years, DEC sent Forest Health specialists to Massachusetts (MA) and Maryland (MD) to assist with forest health response efforts in those states. For additional information on the Southern Pine Beetle, visit DEC's web page. Subject: LongIsland.com - Your Name sent you Article details of "DEC Foresters and Northeast Compact Education Team Join Forces to Combat the Southern Pine Beetle on LI"